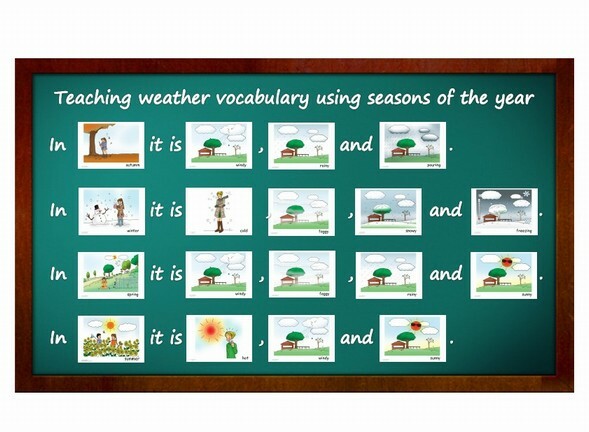 Introduce weather vocabulary to students. Ask random questions: What is your favourite season? What is your favourite weather? What sports can you play in summer? What sports can you play outside in winter? e.g.. Create a simple story at the board. Students have to add weather vocabulary. You also can use calendar vocabulary to ask questions. What weather is today? What weather was yesterday? What weather will be tomorrow e.g.. 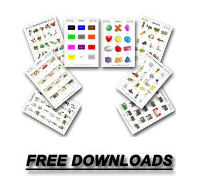 Cops and Robbers - Divide the students into two teams. Draw 2 lines on the floor and leave a big free space between the two lines, where you can place the flashcards on the ground. 2 Students have to stand behind the lines, one from each time. You call out a vocabulary word and both students have to jump in the flashcard space to find the right flashcard. Student who grabs the flashcard first get a point.